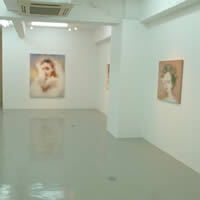 Yoshimi Arts is pleased to present the solo exhibition “Organic” by Shiho Yamamoto. Shiho Yamamoto has closely observed a wide array of living things, from humans, to plants and animals from a biological perspective, and had a deep interest in how these living things were interrelated with each other and in a constant cycle. 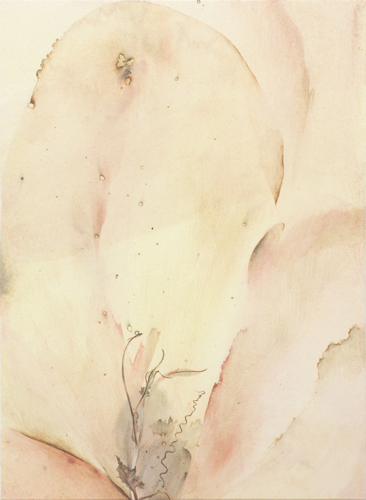 Yamamoto perceives that cycle as moving through all things organically, contiguously connected, without borders, brought together by a thin membrane like human muscle or skin. This exhibition will focus on Yamamoto’s two-dimensional works in which she skillfully layers washi (Japanese paper) like layers of skin. She draws plants and animals, so that the subjects and layers of paper become one.